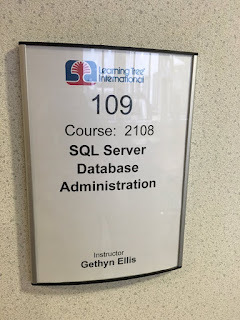 This week I’m teaching Learning Tree’s course 2108 SQL Server Database Administration course in LEC in London. Following on from last weeks success live blogging from the back of the room producing the 294 influence skills course, this week I’m going to try it from the front of the class. I’ll keep you posted on the topics as we cover them, the hands-on exercises that we complete and any useful questions that we get. I’ll probably have enough questions for a series of blog posts by the end of the class. 16:30 The class has just wrapped up for the day. All migrated to SQL Server 2014. Tomorrow will be our security day. and we'll start checking off issues on our task list. Tune in tomorrow to find out how it pans out. 16:10 It seems that one of the students database has got a corrupt human resources today and it wouldn't attach to the new instance...We're in good shape though. We have a good, corrupt free backup. Phew!!! 15:55 Second exercise in the chapter, migrating our mission critical databases to SQL Sever 2014. 15:25 - Looking at upgrade paths to SQL Server 2014 and the various methods, backup and restore, detach and attach for moving databases and the pros and cons of in-place upgrades v side by side migration. We also discussed the upgrade advisor and why its a useful tool in identifying issues that you may encounter so you can fix them before the actual upgrade. 15:10 First exercise in this chapter is creating a simple single data file database. 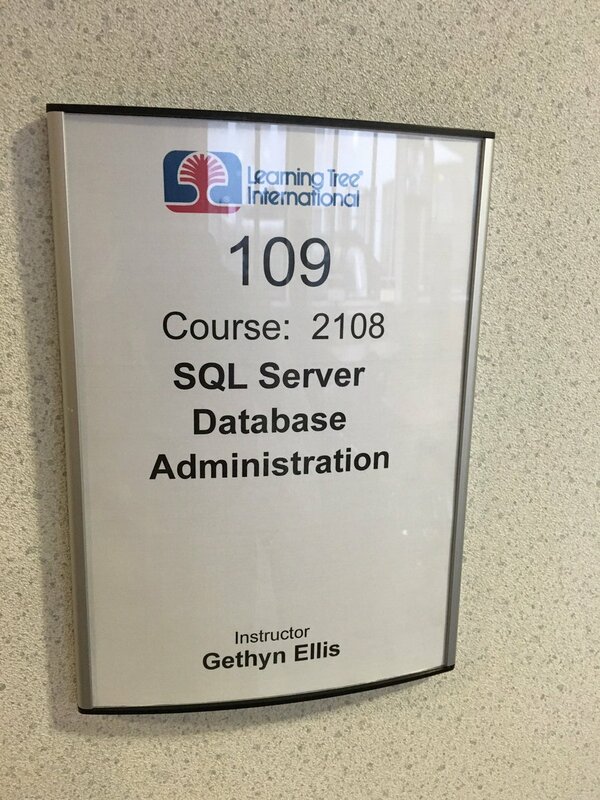 15:00 Introduction to the SQL Server transaction log and what its used for. A discussion around file placement and separating data and log file and how SANs muddy the water a little. 14:40 - Afternoon break Interesting discussion about the benefits and drawbacks of home working. 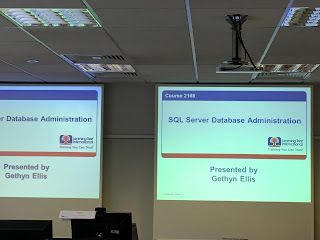 13:50 Exercise on exploring the SQL Server tools, Good exercise some good questions too. People found the standard reports very useful. 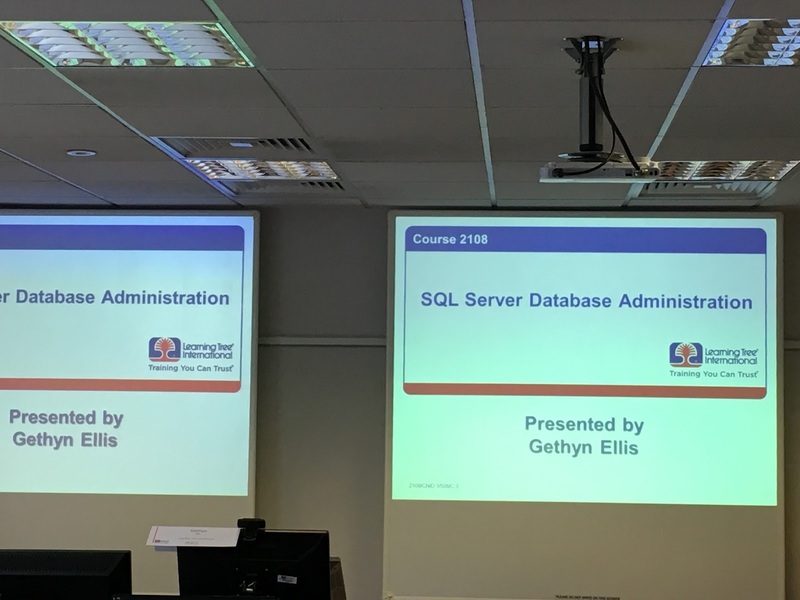 13:15 A good discussion around the various tools that you can use to manage SQL Server. Started with Management Studio, discussed Configuration Manager, SQLCMD and PowerShell. 12:15 Lunch - its raining here in London a quick dash around Euston station to get some 'fresh' air and a bit of walk turned into a dodge the rain exercise. 11:45 Discussion around system databases and the role each plays and why each is important. 10:10 So we started on chapter 1. Looking at the the problems the new Tree Tech DBA has inherited. 08:45 Class is starting to fill up. 15 minutes and counting until we start.